Former ABC News' 20/20 anchorman and reporter John Stossel, who recently flew ABC News' coup and jumped on the Fox Business News ship, will be premiering his new show "Stossel" on the Rupert Murdoch-run network tonight at 8 p.m. EST. Check it out! Tonight on “Stossel”, SuperFreakonomics co-author Stephen Dubner talks about the firestorm of criticism he received from the Global Warming Church for his chapter on "Geo-engineering." Plus, your tax dollars just bought John Stossel an electric golf cart! How? Find out tonight at 8 p.m. ET on Fox Business, as Stossel tackles the climate "crisis". 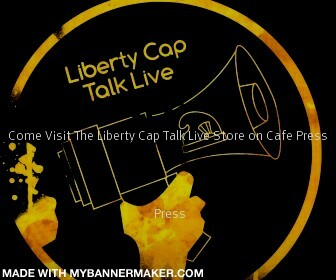 Brooke Kelley, the star and creator of the Liberty-oriented Internet-based reality TV show PuZzLeD and Editor-in-Chief and owner of her own magazine called Composing Moments, will be on my retooled show Liberty Cap Talk Live this upcoming Friday on November 4 for a 40-minute interview. The show, which starts at 11 p.m. EST, will feature her on at approximately 11:15 p.m. EST. Her interview ends at 11:55 p.m. EST. She will be on to talk about the disastrous Continental Congress 2009 convention, her show, the convention booting PyraBang's Chris Pirillo from the event, and the current state of the Liberty movement. Pass this on to every person you know. In order to create money, you have to buy bonds to issue the dollars. So they are always involved in fiscal policy. And, as for this inflation and...and...and this fiscal cri....this financial crisis, well, I think Congress had a lot to do with it. You know, they've had a hand in monetary policy or financial policy. For example, the Community Reinvestment Act, which encouraged banks to make irresponsible loans. The meddling in the activities of Fannie Mae and Freddie Mac, getting them to make irresponsible loans. A $1.5 trillion deficit. That creates bonds that investors hold internationally. It's as good as dollars. Wait a minute! If anybody's going to apologize, then it has to be the people who are totally out of control on Capitol Hill. While Morici is right on the button on those points, what he fails -- perhaps neglect -- to mention is that it is all the fault of Congress, the banks (including Fannie Mae and Freddie Mac), the mortgage and financial lenders, and the Federal Reserve for having a hand in the wipe out and evisceration of the value of the dollar, producing the fall of the financial markets, and so on. The only point that Morici gets wrong is that the Fed buys the bonds to print those dollars (as he contends religiously). Actually, it prints money out of thin air with no intrinsic value backing those dollars whatsoever.. The pri...the price of gold does not go up; the value of the dollar goes down. You gotta understand that point, or you will never solve our problems. Well, said, Ron! Well said indeed!